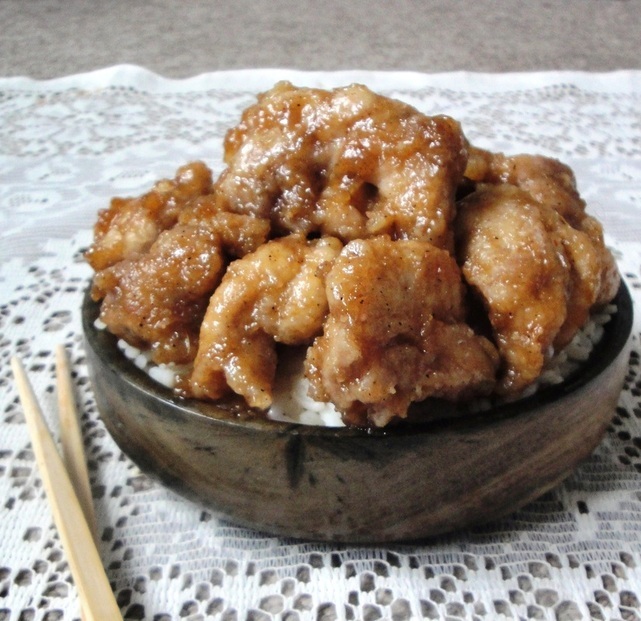 Orange Chicken is a popular Chinese-American dish. 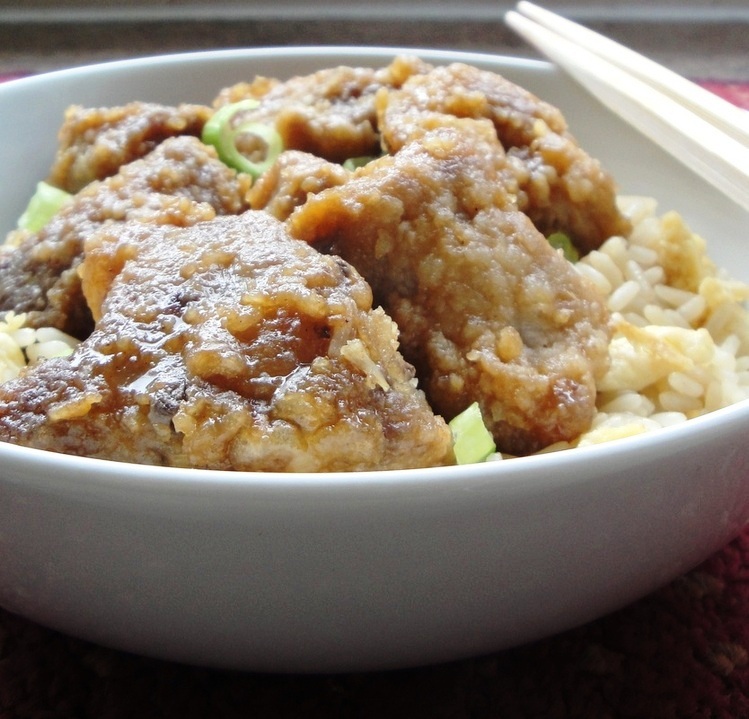 The dish is closely associated with General Tso's Chicken. It's probably almost as popular, and is in fact extremely popular in Chinese-American eateries. So this is really an American twist on a Chinese recipe, there are many such recipes. But without question, this is more of a Chinese concoction, considering that practically all the ingredients are Chinese. In my opinion, no other fruit goes better with Chicken than orange. Orange also brings out the flavours of pork extremely well. So whoever came up with the original orange chicken recipe, deserves much praise. Warning: very addictive and morish. Cut the chicken up into bite size chunks. For the batter add salt and soy sauce to the chicken, sprinkling the ingredients on, and rubbing the salt in. Let it sit for a moment, then prepare batter. Mix together the cornstarch, and half a teaspoon of salt. If you're adding eggs whisk them before hand. Dip and coat the pieces of chicken in the cornstarch, making sure they are well covered, and if you're using eggs, dip the chicken into the egg mixture first. Set aside and heat the 2 cups of oil on high heat. Then lower to medium high and add the coated chunks of chicken. Do not overcrowd pan, as the chicken will not fry properly. Fry in batches until golden brown. Use tongs for this, and use tongs to remove the chicken and put them on a large plate lined with paper towels. Then set aside. Whisk the sauce ingredients together and dice three cloves of garlic, and do the same for the chunk of ginger. You're using the same oil that you used to fry the chicken. Add the diced garlic and ginger to the oil-make sure oil is on medium or medium low, or it will burn garlic. Saute the garlic and ginger until they become aromatic and then pour in the sauce. 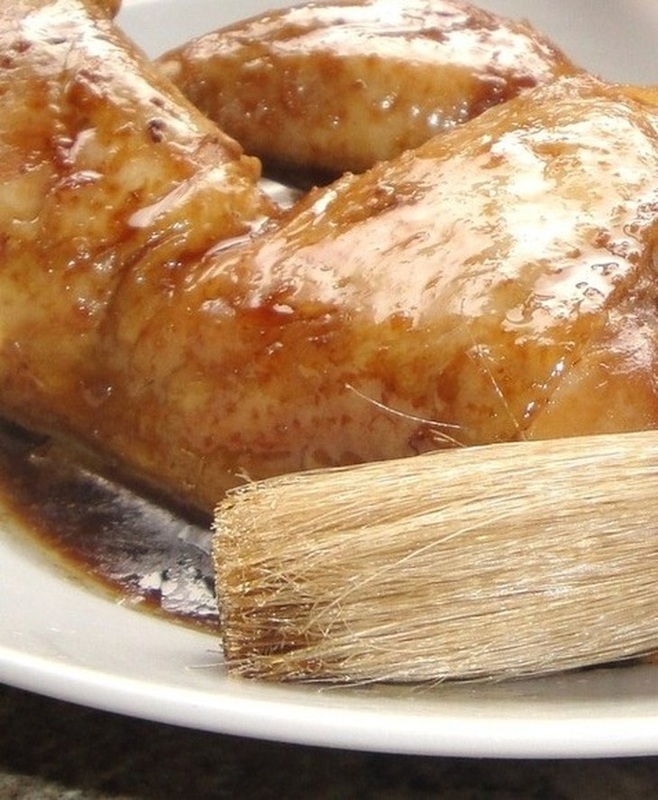 Whisk the sauce together and cook it for about three minutes, then add the chicken. Cover and coat the chicken with the sauce.